There we have it! The final week of the Premier League is done and dusted but the thrills and spills didn’t show any signs of stopping. The race for the Golden Boot was still on as Harry Kane and Mo Salah went head to head for the accolade, the relegation trap door was still open for one last club to fall into and Wenger signed off with a win. This season has seen records broken and one of the most exciting races for top scorer in a long time. Salah, who signed from Roma in the summer, has been in blistering form all season and opened the day on 31 goals in the league. One goal off the record for the most goals scored in a 38-game Premier League season. Kane on the other hand, he started the day on 28. A tough ask, but boy, did he give it a go! The Tottenham and England striker bagged a brace in a 9-goal thriller at Wembley Stadium against Leicester, which, if you’re any good at maths, meant that unfortunately it wasn’t quite enough to topple the Egyptian King off his throne. 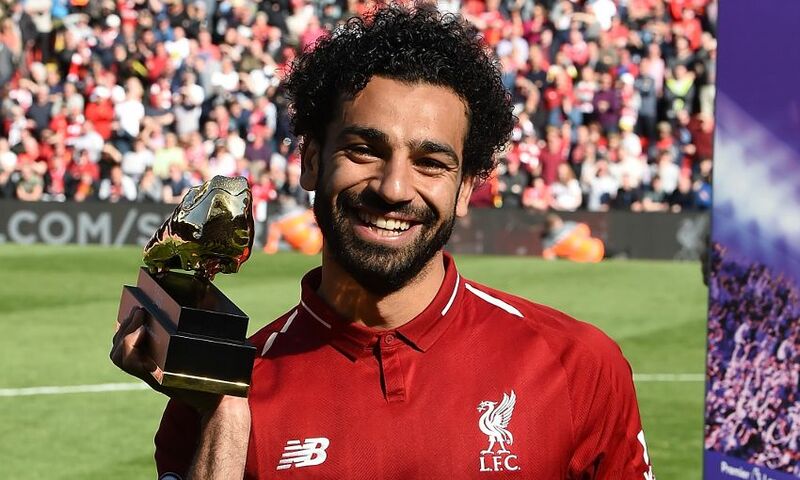 Salah marked his final league appearance with a goal against Brighton & Hove Albion breaking the elusive record of scoring 32 goals in a single season, beating the likes of Shearer, Suarez and Ronaldo! Get yourself ready for next season with a FORZA goal. TPC Sawgrass, Florida saw The Players Championship come to an end on Sunday. Though it was a fantastic victory for Webb Simpson, one of the biggest talking points was the return to form for the great Tiger Woods. Woods, who hasn’t won a major championship since 2008 came T11(tied 11th), finishing on -11. The experienced golfer later expressed that he isn’t far off winning tournaments once again. I for one hope he gets back to his best soon and teaches the new generation a thing or two about how to play golf! 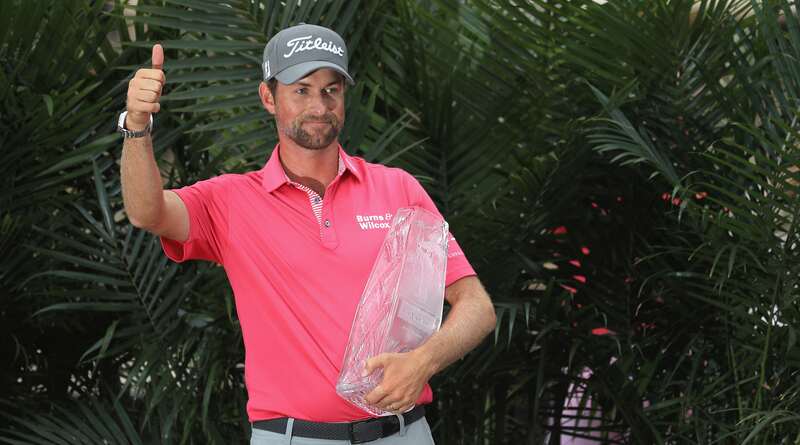 Congratulations to Simpson who now has 4 PGA Tour wins. His last of which was way back in 2014. Inspired? Get tour ready with our FORB F-5 Golf Balls. 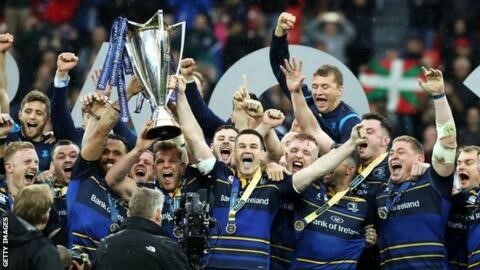 The success of Ireland’s rugby teams showed no sign of stopping as Leinster won their 4th, yes 4th European Cup! A tense final was played out in Bilbao, Spain against French side Racing 92 who have been previous runner up in the competition back in 2015/16. Neither side managed to lead by more than 3 points throughout the whole match. Leinster had been drawn into a difficult pool but came away with a 100% record throughout the whole competition. Though the final saw no tries, Isa Nacewa who is soon retiring, slotted home the winning penalty with just under 2 minutes remaining to make it 15-12. 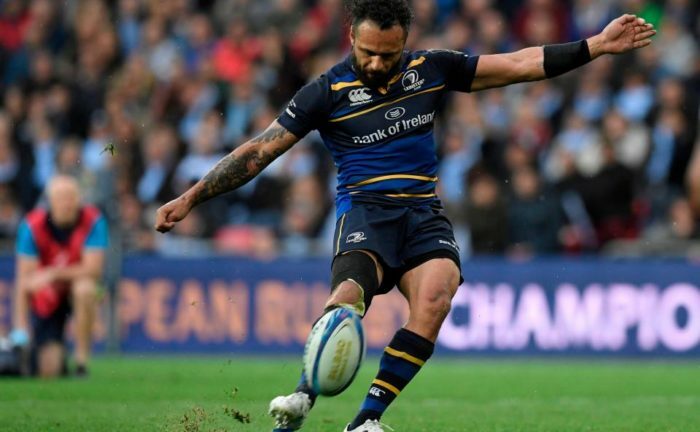 The win meant that Leinster have now equalled the record for European Cup wins. The most exciting part is, with the strength coming through in the youthful players and the resurgence in Sturat Lancaster’s leadership since his less than memorable time in charge of England, looks like the success will be here to stay for a few years to come. Perhaps your club could strive for greatness next season? Get all the gear you need here. Drama unfolded straight from the off in Spain as Nico Hulkenberg and Pierre Gasly collided with Romain Grosjean. All three drivers were forced to retire as the Haas car lost control and skidded back into the pack amid a cloud of tire smoke, blinding everyone. All drivers were unhurt, but Grosjean was sent for a visit to the doctor as a precaution. 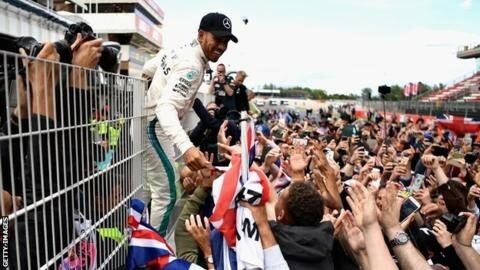 Whilst the safety car was forced to make an appearance, it didn’t distract Lewis Hamilton from securing his 64th win of his career and pushing him 17 points clear in the drivers’ championship. The Brit has struggled in this early part of the season for speed whilst Ferrari have been setting the pace from day 1, but slowly and surely the championship has swung back in favour of Lewis. Next up, the riches of Monaco play host to the Grand Prix on 27th May. Can Mercedes begin to push on with their title challenge? 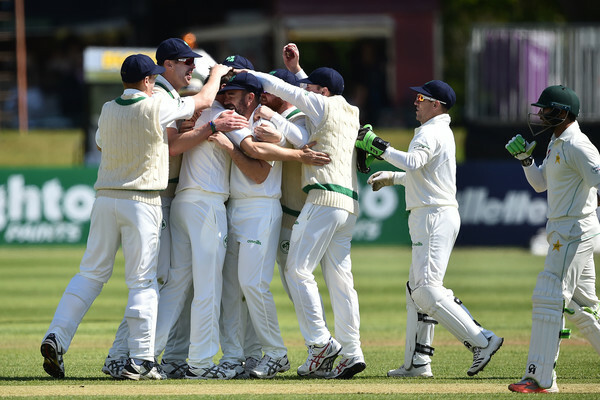 History was made this weekend as Ireland hosted their first ever test match! Yes, that’s right. Ireland have a test cricket team! Malahide welcomed the experienced Pakistan side to its lush green outfield and… changeable conditions. It wasn’t the best of starts as the emerald isle showed of the worst of what the weather can offer and the 1st day of play was cancelled. (Practice rain or shine with our Cricket Cages. The rain didn’t dampen the spirits though. The stout was flowing and day 2 saw Pakistan begin their romp to a total of 310-9 dec.
Quite a respectable effort from the Irish, whom many predicted the worst. The luck wasn’t with the Irish, as they were bowled out for a less than impressive 130. Pakistan have enforced the follow on.